“Free to a good home? You might as well kill her yourself.” These were the caustic and accusatory words typed by an anonymous stranger under a recent web posting from a family trying to find a new home for their dog. Is “Free to a Good Home” really as bad as the scare tactics would lead you to believe? If you see graphic photos of injured pets all over your local Craigslist posted by activists, you might think so. But in reality, finding a new home for a pet who you do not want or cannot keep is not a death sentence and it can be done safely, with or without a fee. I know about horror stories like Puppy Doe, which activists continue to cite, in spite of the fact her case is not applicable to the “Free to a good home” argument. Initial news reports said that Puppy Doe’s original owner paid $200 to buy her from a classified site. She then found the dog another home when breed discrimination left her unable to find housing that would accept the Pit Bull mix. That person could not keep the dog and sold her again, this time for $40 to the subhuman who would become her alleged abuser. At no point was Puppy Doe “free to a good home.” Fees alone did not keep this dog safe. And fear-mongering people with misinformation is not helping humans or pets. If someone has a pet they don’t want, I am all for helping them safely transfer that pet to someone who does. I might now ask those of you older than, say, 45 to think about where you got your pets from as a child. Earlier generations were largely unaware of the importance of spay and neuter, and “free to a good home” was a pretty typical way to obtain a pet. I can say that my family, before I grew up and understood the concept of pet overpopulation myself, were on both the giving and receiving ends of free pets. We gave kittens to neighbors and took in few strays — both cat and dog, none of which ended up tortured. Times have changed, of course, and whether or not animal abuse was as prevalent then as it is now, we are, at the very least, more aware of it due to the Internet. But there may be a situation in which you cannot, or simply do not want to keep your pet, or perhaps you have found a stray you would like to place in a home, rather than bring it into a shelter. So how can you find that animal a safe, loving home? A screening process. Surveys from multiple national humane agencies show adoption fees alone do not guarantee the quality of home that will acquire a pet: The screening process makes the difference. 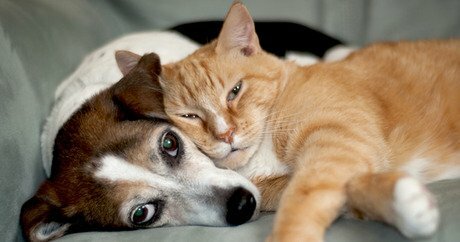 What are some ways that you can help work to protect the animal in your care, should you need to find it another home? Consider working with a local rescue. They may be able to list your pet on their website and you can act as a “foster” home until a new family is found. This minimizes moves for the animal and most rescues have a screening process that helps weed out less-ideal adopters for your pet. Have the pet spayed or neutered before placing it. This will ensure the adopters will not use the pet for a life of breeding-for-profit. If you can’t afford to get the pet spayed or neutered, ask that the adopters pay for the surgery before the official exchange. Ask for photo id and do a home visit. You aren’t looking to see how clean their kitchen is, but look and see if they have other pets who are loved and well taken care of, or ask them to show you where the dog will sleep. This can make an adopter realize you are taking the placement seriously, and what potential abuser would want you to have seen their driver’s license, home, and identity? If you feel more comfortable asking for a fee, ask that they make a donation to a local animal shelter or charity. This can make the adopter feel more confident that you are not just selling the pet to the highest bidder, and can help you feel safer about the exchange. Sign a document officially transferring ownership of the pet so that you have a paper trail of ownership. Get to know the person that is taking on your pet. I have seen free puppies go to homes where they are just as beloved as thousand-dollar show dogs and high-dollar purebreds left out on chains 24/7. All the money in the world cannot stop those who are truly dangerous towards an animal, but your diligence and hard work can keep them a little bit safer. And I will choose education for safety over scare tactics any day of the week.